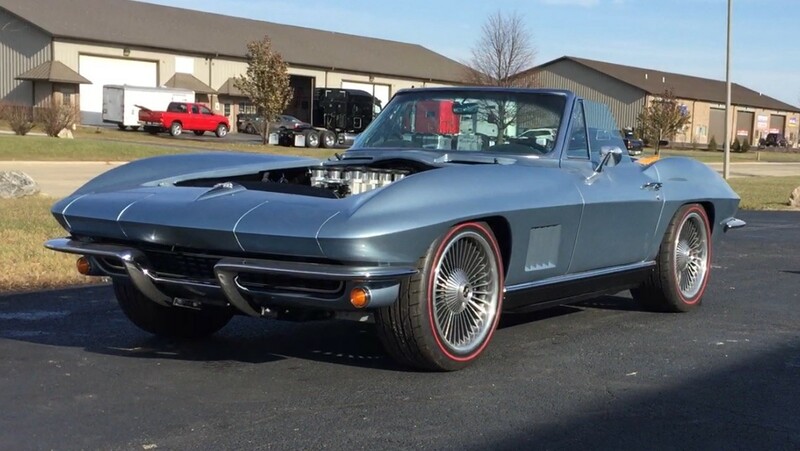 Been looking at some C2 Resto mods and most have C4 suspension components. It looks like the basic C2 suspension to me. What is the significant advantage of the C4 suspensions? Lighter weight, and the rear suspension doesn't have the crappy snap-oversteer issue caused by unwanted toe changes in the rear wheels. Is the rear of the frame also off set for the larger wheels and tires or was all of that accomplished with the body/wheel wells? Having daily driven my 66, 70, and 87, I would take the 87 over all of them. Last edited by Plasticman; 12-07-2017 at 09:19 PM. Also the front suspension offsets the centerline of the bearing hub relative to the pivot centers of the ball joints. 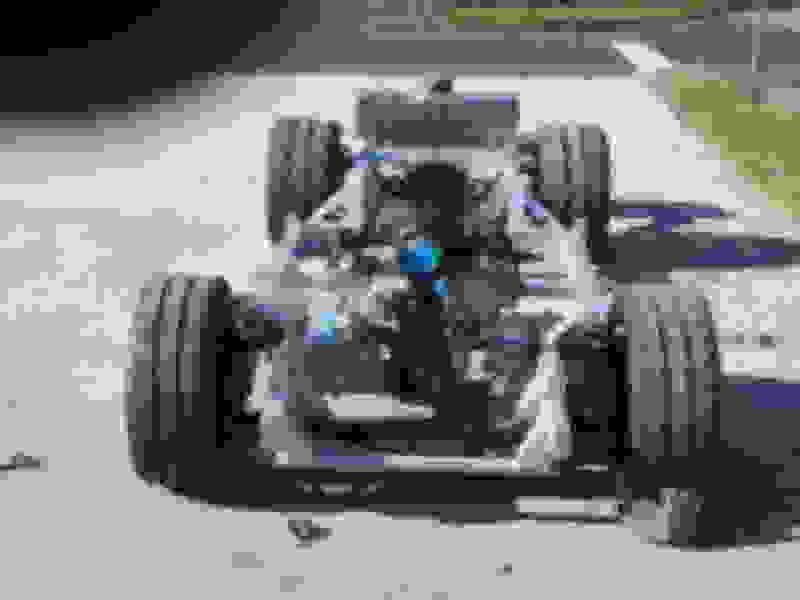 The effect is as if there is more caster than you would read with a caster/camber gauge. 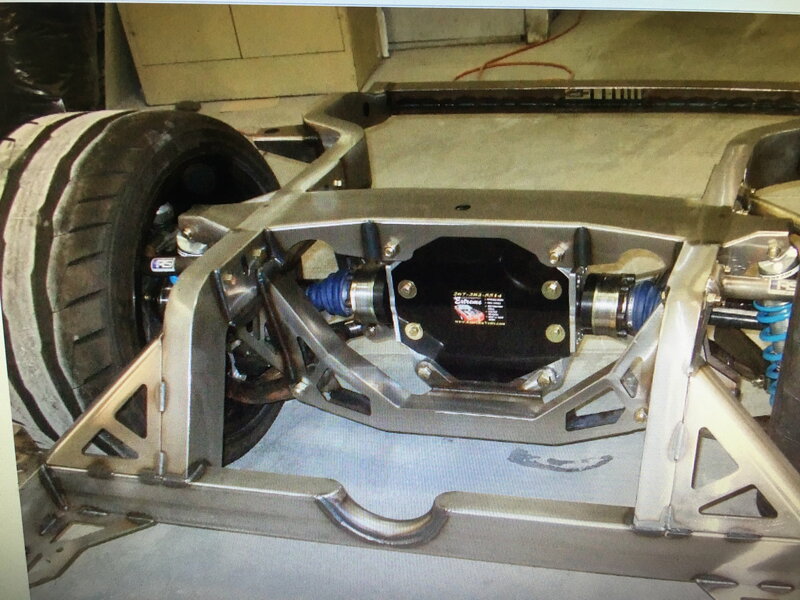 Also, it's trivial to achieve far greater caster with C4 suspension than can be had with C2 suspension. For example, 5.5 degrees caster isn't out of the question. If you’re going to spend the money to build a resto mod it makes no sense to build one with C 4 suspension. Why build something with 34-year-old technology. That was fine 10 years ago. 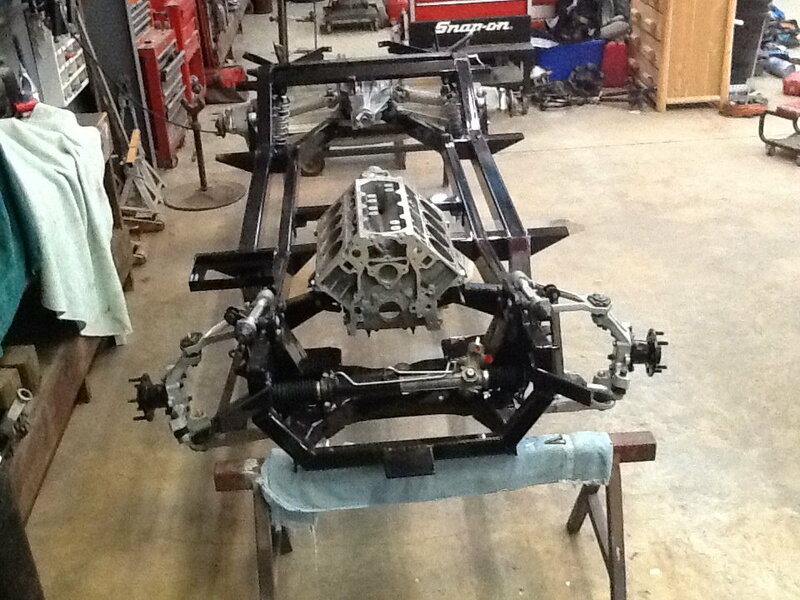 The reason you see a lot of them with C4 is a matter of cost it’s a lot cheaper to build one with the C 4 suspension. Resto mod have been around for a while and that was the first attempt at building them. That was fine when they first started building these frames but the reality is if you use something like roadster shop frame everything is custom one off build and those cars really handle. You definitely see it in the resale value. It’s very important to build it on the right frame especially when you decide you want to sell it. There’s a lot cars out there that they call resto mod that is a term used a lot but it is not the true definition of most of the car if you see out there for sale most of those cars would be considered custom not resto mod. 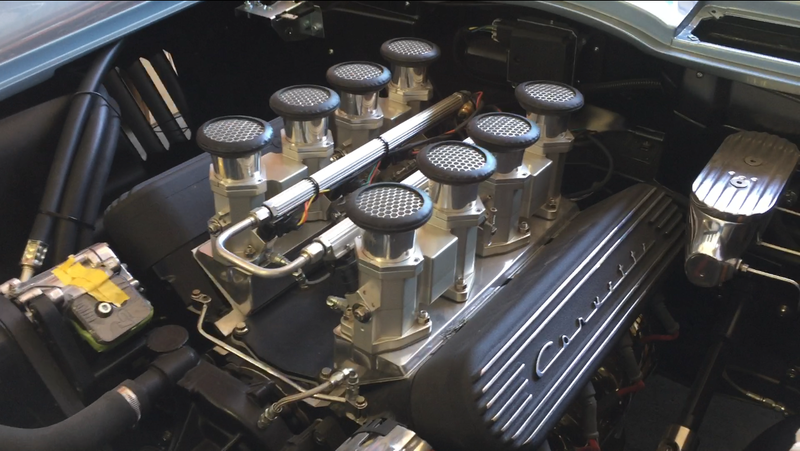 The C 4 suspension is definitely an upgrade from the 63 suspension but why do it today. Last edited by 65 Pro Vette; 12-08-2017 at 05:25 AM. If you’re going to spend the money to build a resto mod it makes no sense to build one with C 4 suspension. Nonsense. Why build something with 34-year-old technology. Um, unless I'm mistaken that engine in your car has pistons. Isn't that technology about 120 years old? Also, do you have to manually move the gears in that transmission I see? Isn't that technology about a hundred years old too? Even A-arm rear suspension is 50-60 year old technology. That was fine 10 years ago. The reason you see a lot of them with C4 is a matter of cost And packaging. it’s a lot cheaper to build one with the C 4 suspension. Partly because the floorpan does not have to be cut out and replaced by a custom piece, adding cost and labor to the project, not mentioning the frequent loss of the rear storage compartments. Resto mod have been around for a while and that was the first attempt at building them. That was fine when they first started building these frames but the reality is if you use something like roadster shop frame everything is custom one off build and those cars really handle. Are you saying a C4 suspension doesn't handle well? You definitely see it in the resale value. Some of us own Corvettes for the driving experience, not the resale experience. It’s very important to build it on the right frame especially when you decide you want to sell it. Again, some of us are in this hobby for the driving experience, not the wheelin' and dealin' experience. There’s a lot cars out there that they call resto mod that is a term used a lot but it is not the true definition of most of the car if you see out there for sale most of those cars would be considered custom not resto mod. The C 4 suspension is definitely an upgrade from the 63 suspension but why do it today. 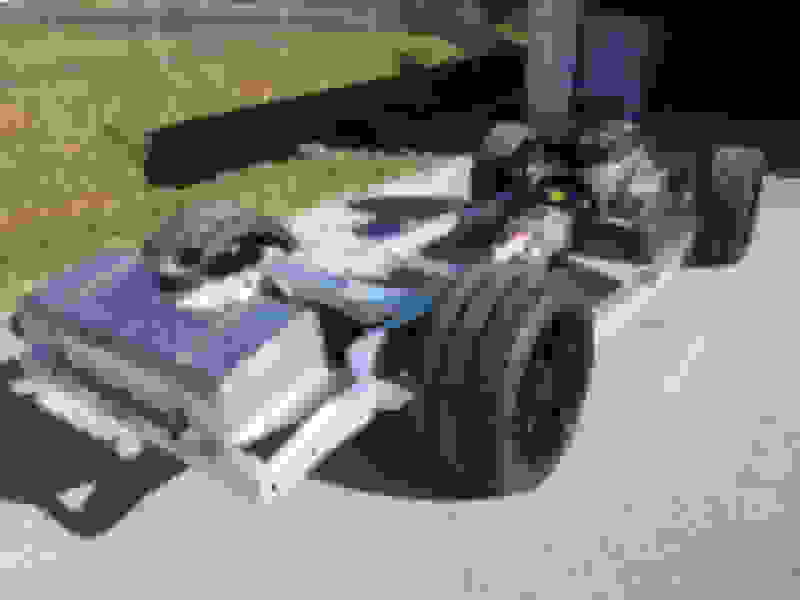 Packaging, less bodywork modifications, and more wheel choice flexibility. I'm not a big fan of butchering up the floorpan of our cars to make them fit over a custom frame or suspension. (YMMV) Also, with a C4 suspension I can run stock type wheels on my car for street driving, instead of out of place looking late model wheels. There's no free lunch in this world. There's positives and negatives with any modification done to our cars. It just comes down to what you want, what you can fabricate, and what you're going to have to pull out the plastic to pay someone else to fabricate. I'm all for the latest restomods - the more factory appearing the better. That said- an 84 z51 did a full G on many different skid pads. With 16's. Still a GREAT number today. Which was one of the most important factors in my build and what will ultimately determine any resale value down the road.... I think? I went with a C5/C4 set up because I didn't want to alter floor pans and....the most important thing to me.. alter the exterior of the body with wider quarters. The more modern set ups have wider stances so wheel selection and what you can fit under the fenders plays a factor w/ these type of set ups. They are also more expensive. I don't plan on racing mine so any handling advantages, if any on these type cars, are going to negligible for driving on the street. I didn't want out of place looking late model wheels or a plain LS Motor and chose to spend my $$ on those and other areas. The devil is always in the details. -267 what a lovely build. Just my style restomod. I appreciate the wheel and tire choice! I'll be looking for a build thread in your post stats! Ultimately how many of these truly high end builds with the most current technology are going to be pushed to the limits where the difference between a C4 and even a C7 suspension is going to be realized? 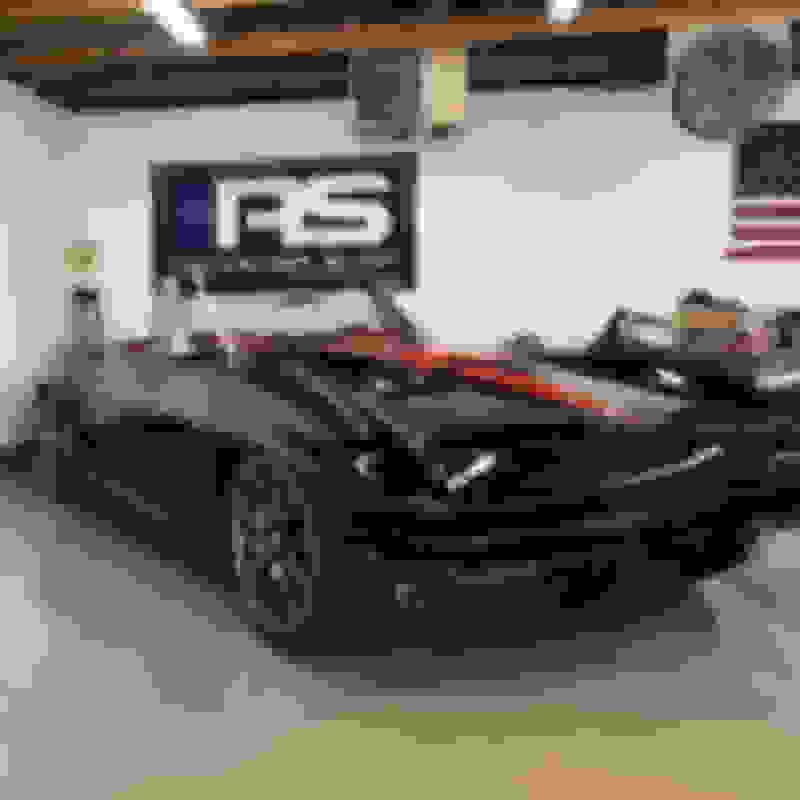 If you're building a Corvette for yourself and not for resale then you build to meet you're personal goals within the most important limiting factor your budget. 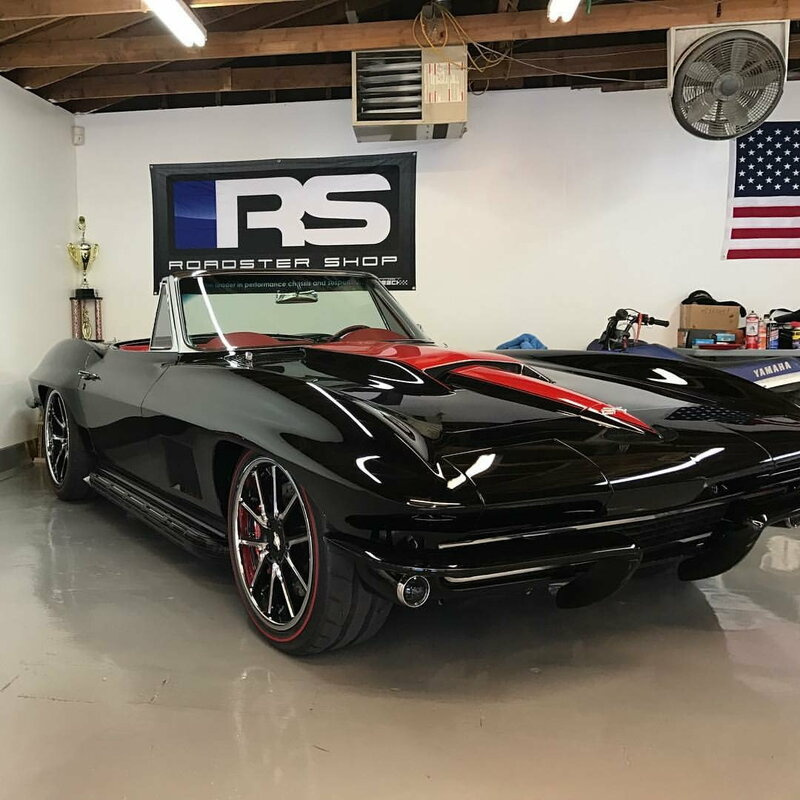 Is the Roadster Shop right now one of if not the best available? Yes but it may not be required to meet one's personal expectations and it certainly may not fall within one's budget. Reality can be very sobering at times. I wish I hadn't read this post. I feel so inadequate now. I built my own chassis with the old outdated suspension. Maybe I should scrap it for a mid engine design as all of the others will be outdated very soon. I would love a Roaster Shop chassis but it's way out of my league. Kudos on your fabrication skills, friend. When I put the (narrowed) C4 suspension under my car I started with a used frame (as I didn't want to cut up the original good condition frame). Given how much time and effort I spent to cut out all the frame areas I didn't need (or conflicted with space needed for the C4 components), along with cleaning/welding all the seams in the frame, I told myself if I was ever inclined to do a similar project again I was going to weld up a frame from scratch. Unless I missed it, I'm sure several of us would enjoy seeing a thread here with pictures of your progress. You missed it "Day one 61 restoration". That was what I called my thread when I started. Which I was promptly chastised for as it was not a restoration. At first I was going to modify the original frame, but after looking at I decided it would be much easier, faster ,and better to start from scratch. Very impressive looking frame. I wish I had your abilities. While I appreciate the ultra high end builds, they are out of my range as well. I can appreciate the talent, work and technology of these restomods but they are just not my cup of tea. I will always work to add what I can to an original car without making frame and modern day engine changes. It is part of owning a classic car. My one exception to the above would be fender flares on a C2 as they were day two mods for bigger tires and just seem to fit the look of those cars in my opinion, just as all of the things you restomodders think about the changes you make to your cars. To each his own. It would be a very boring world if everyone liked the same things. 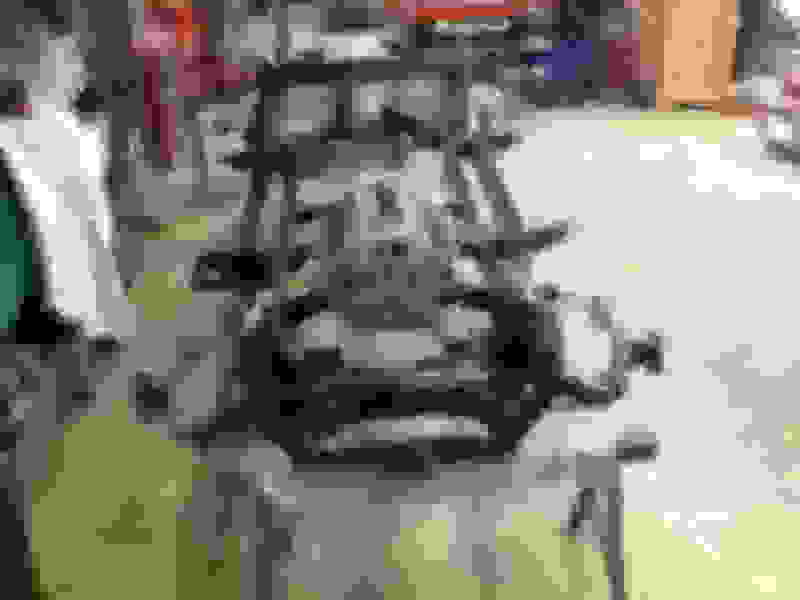 I am looking at completed cars. I see from an earlier post you modified your 69 for the C4 components. 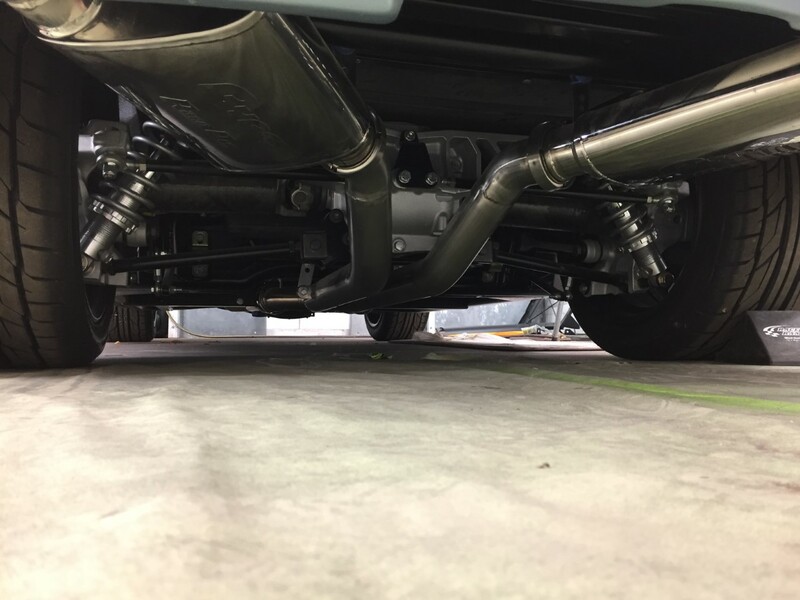 When looking at a modified C2 chassis how do you determine if the suspension mounting points are in the correct location for OEM geometry? Did you get dimensions from C4 and adapt them to your C3 frame? My starting point (other than narrowing the C4 suspension to match the original C3 suspension width so I could keep my 15" wheels for street driving) was to copy the OEM geometry. (I didn't see any point in reinventing the wheel on my first shot at this conversion.) I measured the suspension on my C4, along with other C4 suspension parts I had in the garage, and used those measurements on the replacement frame. I'm a design engineer by trade, and by nature/experience I'm not comfortable going "into production" with the first design (ie: prototype) that's built. 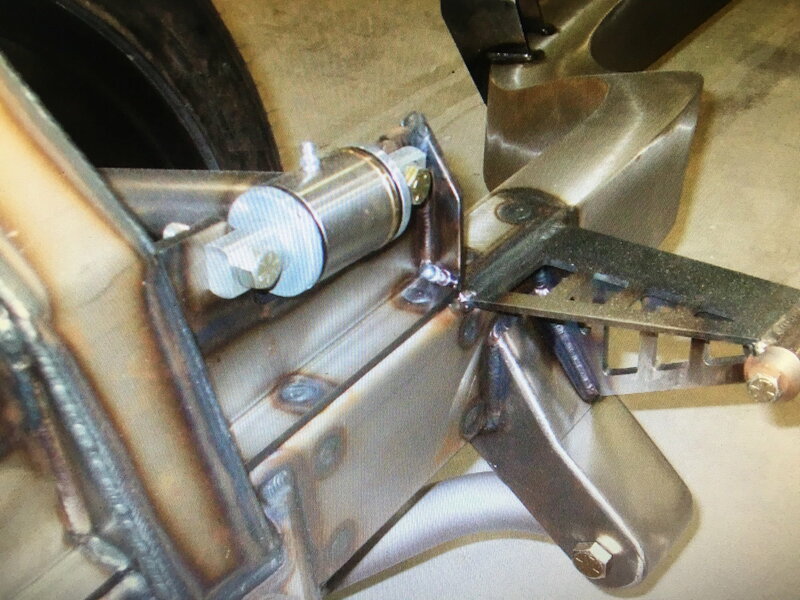 I modified my spare frame so that all the suspension attachment points (upper and lower A-arms, and the rear suspension trailing arms) attach to brackets that bolt to the frame. This gave me the flexibility to change most any aspect of the suspension geometry, in case I wanted to change the handling or correct a design error, by just unbolting the attachment bracket and modifying or replacing it with another bracket. My advice would be to find a couple friends with C4s (early and late suspension versions), and take a few pictures/measurements of the suspension heights and angles for comparison with what's underneath a modified C2 car that captures your interest. Good luck, and post some pictures if you find what you're looking for.